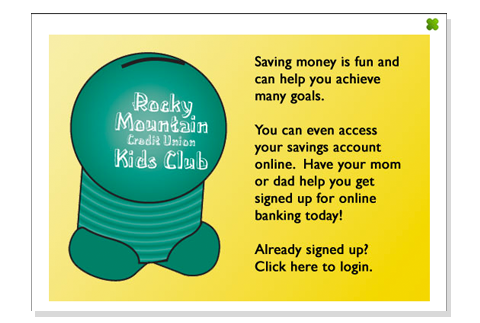 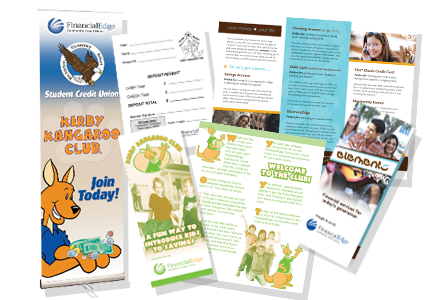 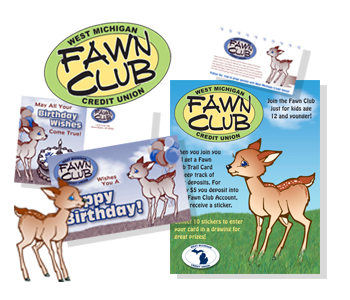 We also offer product for the future of your credit union, your youth members! 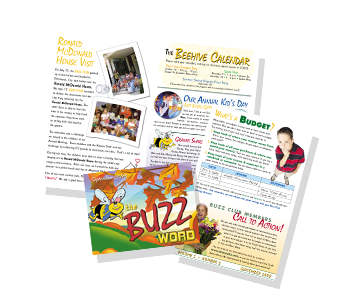 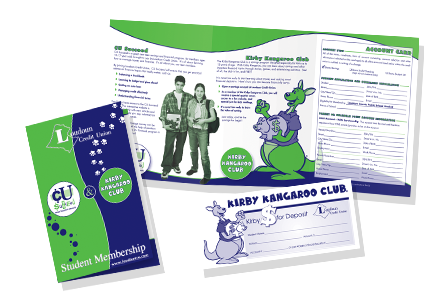 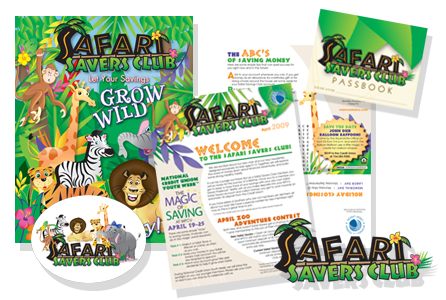 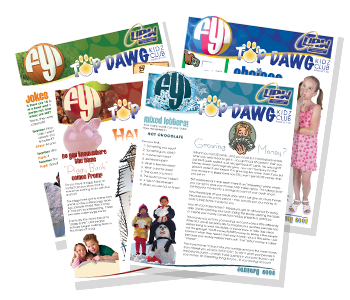 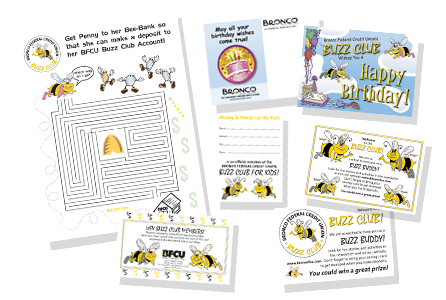 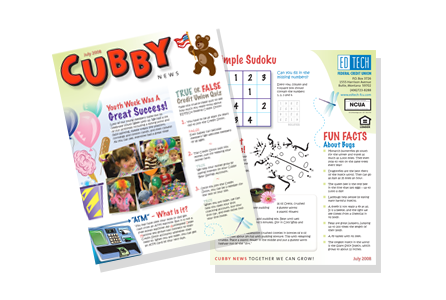 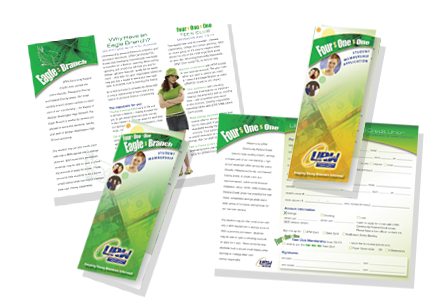 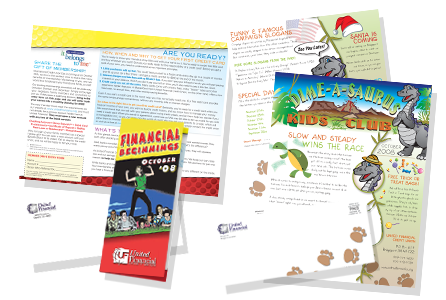 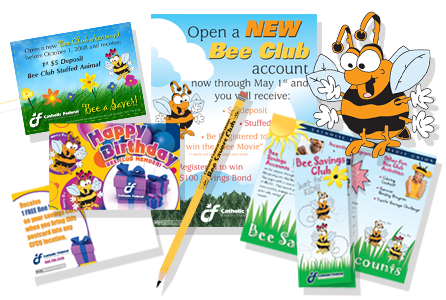 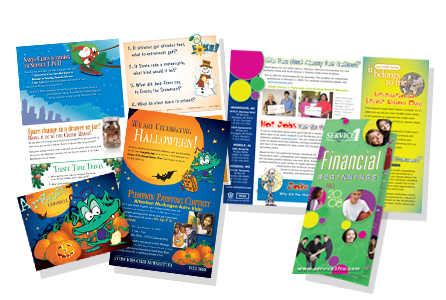 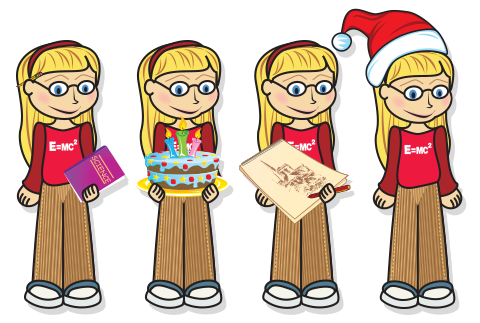 In addition to newsletters, we also can do promotional items, brochures, birthday postcards and more. 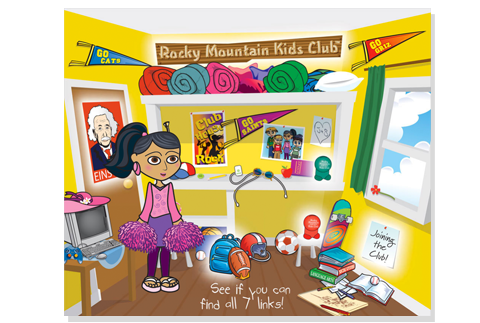 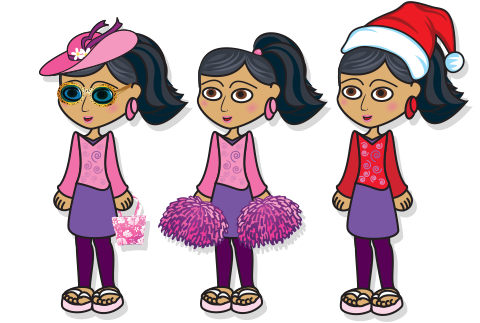 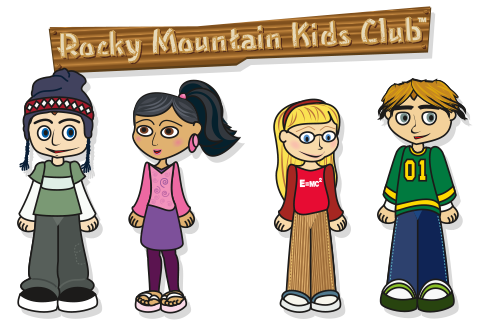 We can even create your kids club characters for you! 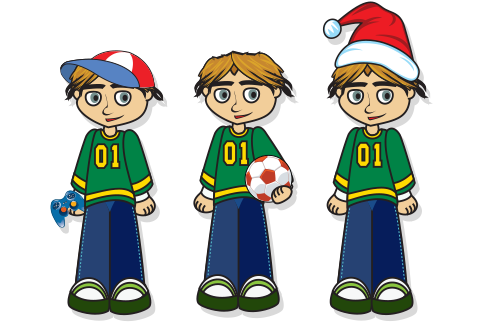 Completely customized vector graphics created with Adobe Illustrator. 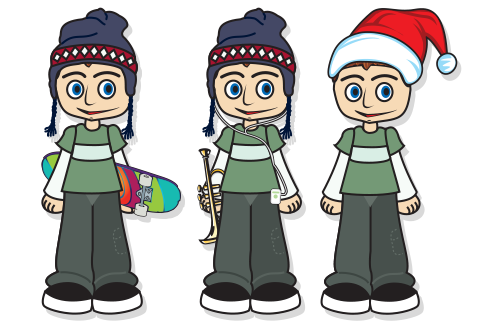 Each character is unique and has their own belongings to show off their personality. 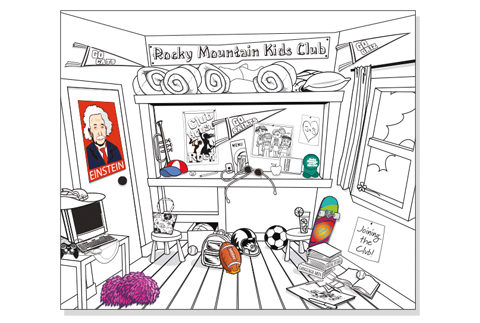 Client wanted something that middle school kids would relate to. 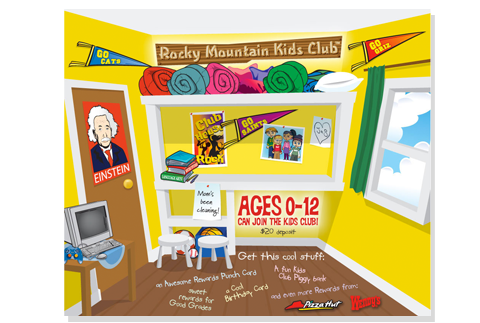 Along with the characters for the kids club, we created a clubhouse and filled it with things the characters would have left lying around.